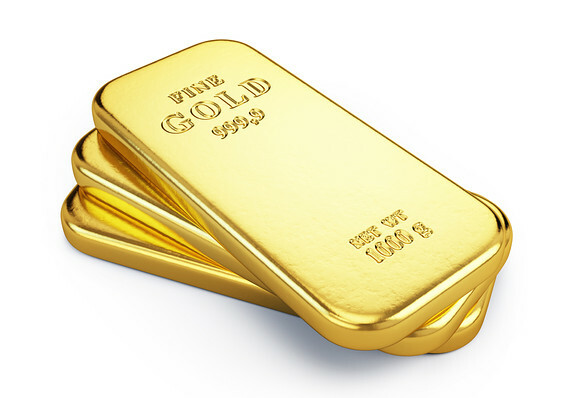 “Jeweler’s Gold” – What is it? Similarly, depending on who is using the term, “Jeweler’s Gold” might have a lot of gold in it or no gold at all !! “Jeweler’s Gold” is a gold alloy made of 3 parts Gold + 1 part Copper. I recently saw a large “Jeweler’s Gold Native American Concho Belt” for sale on the internet for less than $180. What??!! Impossible !!! At $1325.00 per ounce for gold, there would be no way there was that much gold in this big heavy belt !!! So when someone borrows the term “Jeweler’s Gold” to loosely describe a gold colored alloy that has NO gold in it at all, as far as I am concerned that’s a big NO NO. It just misleads and confuses buyers. Some people say “in jeweler’s circles” it is OK. But it is not OK when a buyer thinks they are getting gold and in reality, they are getting an alloy that contains NO gold. Such an alloy, wrongly called Jeweler’s Gold, would be more correctly called Red Brass or Jeweler’s Brass or by one of the commercial names such as NuGold. NUGOLD sells for less than $30 for a 12″ x 12″ sheet or 200 feet of wire. The same material in gold would cost upwards of $2000. as if they were the same. They ARE NOT. or a GoldTone chain and pendant as Gold. Jeweler’s Gold and Red Brass are not the same, they are not synonymous…….using the two terms together is confusing at the least and misleading or downright dishonest. Red Brass is NOT Jewelers Gold – far from it. Now I’m not saying that Red Brass or NuGold don’t have a place in jewelry making, Native American or otherwise. But one should call a spade a spade. Is it Jeweler’s Gold Or Red Brass? As previously state, Jeweler’s Gold is 3 parts gold to one part copper. The recipes for Red Brass or NuGold vary but here are three. NuGold is 85% copper and 15% zinc. Red Brass = 3 parts Copper + one part Zinc + one part Block Tin. IT IS SAID………that if these metals are pure and melted per the prescribed method, the best jeweler could not tell the difference between it and pure gold without doing an analysis. Another recipe for Red Brass is similar but contains some lead as well. 85% Copper + 5% Tin + 5% Lead + 5% Zinc. Now some of you might want to stay away from alloys that contain lead, zinc or tin…..if so you would like to know if what you are buying is really Jewelers Gold or if it is the gold colored alloy Red Brass, wouldn’t you? Since Jeweler’s Gold costs many time that of Red Brass, from a value standpoint, you would want to know if you are indeed buying a gold alloy or a golden colored alloy. The moral of the story? If you want to know what you are buying and you are not sure, ask. One listed it as “Jewelers Gold”. I also wrote several webstores that advertise their Native American items as made of Jewelers Gold. The others just list the items as made of Jeweler’s Gold. As far as I am concerned, none of the sellers stepped up to the plate and told it like it is.